Tagged under Fullmetal Alchemist, Waifu, Blue Eyes, Long Hair, Blonde Hair. 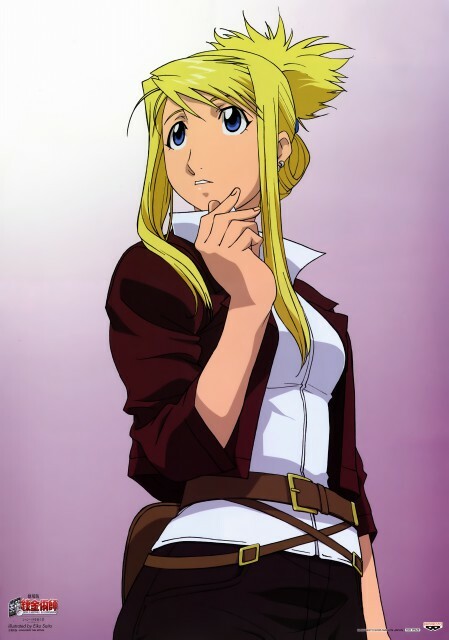 Winry is the childhood friend of Edward and Alphonse Elric. She lives with her doctor parents and grandmother in the same village as the Elric family; after her parents are killed in the war, she continues living with her grandmother while also apprenticing under her in the field of automail prostheses. Although initially scared of alchemy, Winry grows to accept it eventually and is very close to Edward, often bickering with him over minor things.